By all accounts, Alice Roosevelt was not an easy daughter to raise or person to know, but she has a sharp mind and a sharper tongue and left a legacy of some delightfully snarky quotes that make a person both smile and cringe a little. If you can’t any something good about someone, sit right here by me. I’ve always believed the adage that the secret of eternal youth is arrested development. He [Calvin Coolidge] looks at though he’s been weaned on a pickle. You can’t make a souffle rise twice. 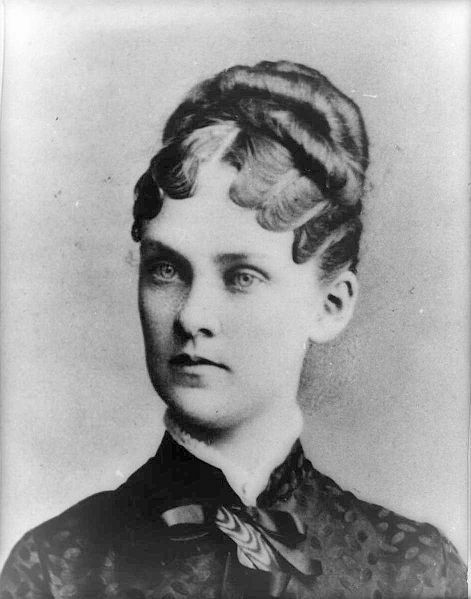 The Audrey is question is the only child of the first female president of the United States. At 13, she is chafing under the many restrictions of being the First Daughter, looking on 1600 Pennsylvania Ave as more of a prison than an honor. 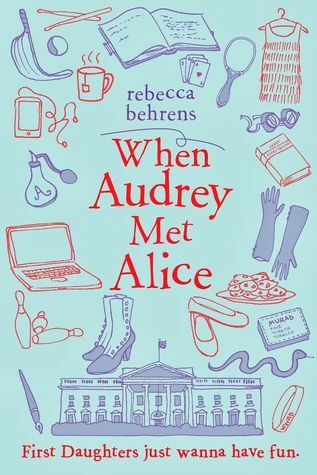 She finds the 1902 diary of former First Daughter Alice Roosevelt and enters into a wonderful relationship with this spirited historic figure, taking inspiration from Alice’s antics during her days as a White House resident. You would think being the daughter of a president and living in the White House would be glamorous and amazing. That’s not what Audrey Rhodes – daughter of American’s first female president – would tell you. With her mother busy running the country, Audrey is stuck alone this big old house that is definitely not home with a bunch of uptight staffers. She can’t even have friends over because they don’t have security clearance. And now she’s being left out of her class trip to New York because it’s too tricky for the Secret Service. When Audrey stumbles across a diary hidden under the floorboards by former First Daughter Alice Roosevelt, eldest daughter of Teddy Roosevelt, she discovers that someone understands what a pain it is to be trapped by presidential protocol and rigid expectations. Alice’s wild behavior while living in the White House was the stuff of many scandals in the early 1900s. Her stories get Audrey thinking that maybe she has been a little too easy to tame and she strikes out to put the fun back in being a First Daughter. Both characters are delightful and the story is sweet. This is perfect middle grade girl fare. Siobhan is a gifted musician. Owen is the youngest in a line of famous Canadian dragon slayers. Siobhan enters his life as his algebra tutor, but soon finds she had really be recruited as his bard, charged with the task of helping change the way the small community of Trondheim and the world behind see the work of the dragon slayers who labor to save humanity from carbon-emission-and-people-eating dragons. It’s not easy being a dragon slayer. Dragons are ruthless in their pursuit of carbon emissions and people are idiots about not only making the emissions, but about the dragon slayers during a battle. Lottie Thorskard–once the most famous dragon slayer in Canada and maybe the world–paid a terrible price for the shortcomings of others. Now, she is determined the things will be different for her nephew, Owen, dragon slayer-in-training and high school students struggling in algebra. Using algebra as a cover, Lottie arranges for Owen to take on a bard, Siobhan, with the idea that she will use her considerable musical talents to shine a positive light on the world of the dragon slayer. Siobhan, Owen, Lottie, and the entire community of Trondheim are in for more danger and excitement that any of them could have imagined. This book is droll and clever, but not quite as action-filled as I thought it might be for a book about humans battling dragons. On the other hand, the characters are completely charming and the social commentary is pointed and biting. It is more of a thinking person’s action/adventure. Owen’s aunts, Lottie and Hannah, may be my favorite literary couple this year so far. I simply adored them both. 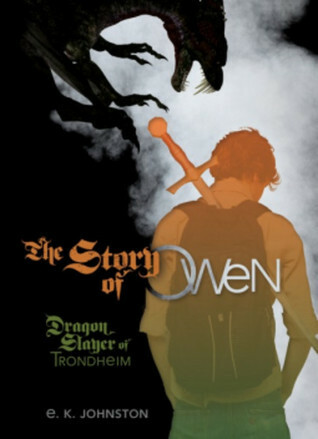 The Story of Owen is book 1 in The Dragon Slayer of Trondheim series. Prairie Fire is due out sometime in 2015. Promising soprano Sing de Navelli follows the footsteps of her famous parents to the remote Dunhammond Conservatory and finds herself nearly undone by the gothic atmosphere and dark mysteries that surround her. For soprano Sing da Navelli, every corner of Dunhammond Conservatory contains a challenge: the legacy of her famous dead mother; the demands of her famous live father; the fury of her rival; and the mystery of her dark and moody vocal coach. Overshadowing all is the legend of the Felix, a great cat-like beast lurking in the woods beyond the conservatory ready to alternately tear out the throat or grant the deepest wish of any who approach. Doubting her own talent and struggling to find her place in the musical landscape, Sing is pulled ever deeper into timeless secrets. 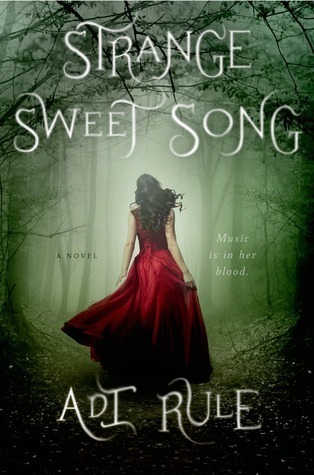 This is a quite odd mixture of contemporary fiction blended with gothic, magical, and paranormal elements. The result is unusual, but so enjoyable. It is always unwise to compete with your own dead mother. Six transgender teens tell their personal stories, covering their childhoods, their journey to understanding their transsexual identities, and their experiences living as transgender. Included photos also help tell the story. These stories are simply fascinating. To some degree, this is because Kuklin is interviewing six articulate, self-aware people who have led complex, interesting lives and are willing to be brutally frank about their experiences. It is also a chance to think very carefully and slowly about a life situation with which most of us have no firsthand experience – the reality of being born with an outward gender identity that does not match ones sense of self. Transgender is a concept I can understand on an intellectual level, but I have to acknowledge that I also don’t “get it” at a gut level. It falls outside the bounds of my personal experience and it’s confusing. As each of these stories rolled out, I experienced very gratifying moments where I felt like a window opened up and I could finally see. 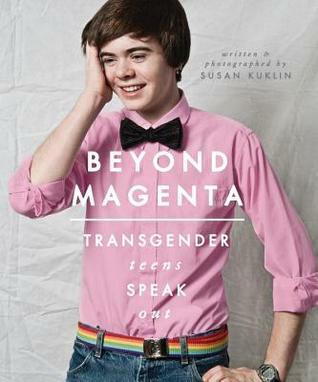 I appreciated Kuklin’s approach, which allows us to hear the voices of the transgender teens. She pulled no punches and allows us to see the unpleasant, shallow, and ugly aspects of the subject’s personalities as well as the heartbreak they have endured and the strong self-advocates they have become. Wen’s life is disintegrating. After her mother died and she was forced to move into the compound of a factory where her father serves as the doctor, she gets drawn into the social tension that grips the Itanyai workers when 200 Noor willing to work cheap are brought in. As illness and injury grip the compound, Wen is drawn into the mystery of the “Ghost” who haunts the workers. It starts as an angry impulse. Wen is embarrassed after one of the new, barbaric Noor workers lifts her dress and shows her underthings in the factory cafeteria. She impulsively approaches the shrine other workers have set up to communicate with the factory Ghost and – while also proclaiming her disbelief – challenges the Ghost to avenge her. When the Ghost grants her wish in a terrible way, the ripple effect of her flash of anger lead to death, social unrest, a budding forbidden romance, and the slow reveal of all the factory’s many dark secrets. 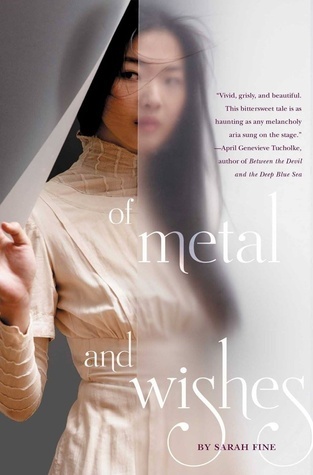 The author has taken the concept of the Phantom of the Opera and moved it to a startling post-industrial Asian setting. Her creative re-telling and the beauty of the writing create something deeply compelling. This was an intense book. I was at turns enthralled and disturbed, thoughtful and grossed out. This is a series opener. Of Dreams and Rust is set for publication in August 2015.